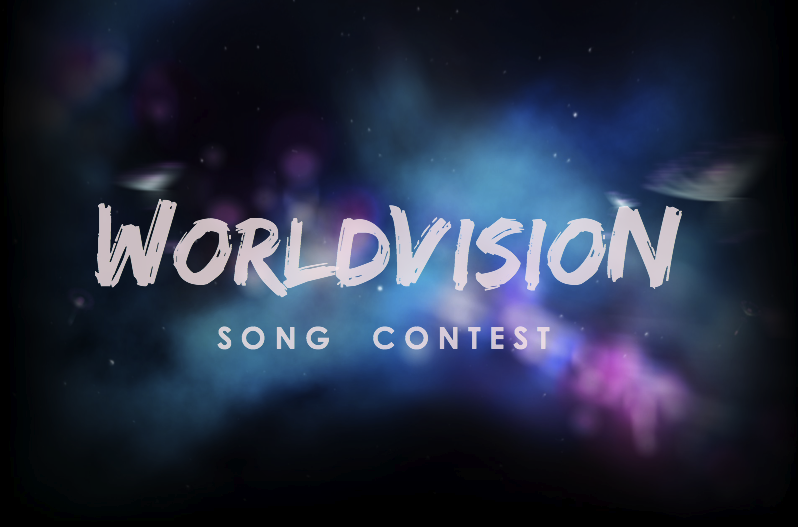 Welcome to the WorldVision Song Contest, based on the Eurovision Song Contest, aiming to provide and unite nations from different parts of the World through music. The WorldVision Song contest is an outlet to showcase the popular or native music of your nation. As with every contest, there are a few simple rules and regulations that you'll need to follow. To start, you must sign up for the contest. Do so by using the form below and posting that you sign up in this thread. Make sure you sign up before the cutoff date. You won't be penalized if you sign up and don’t end up posting a song. You then post the song in the IC thread after a host vote (see previous contests to see what a "normal" post looks like). At the end of the host bidding period, all nations which have signed up at that point may vote for the nation that will host the contest. Instructions will be posted by this account, and all host votes should be telegrammed to this account as well. The winning bidding nation will then create the IC thread. The contest is based upon the Eurovision Song Contest: nations will "perform" their song. No real-life song can be entered into the WorldVision Song Contest; of course, the melody can be used (usually linked via YouTube). At least 80% of the song’s lyrics must be original, and translations are not allowed. Nations are free to choose to host a national final or internally select their representative. English is not compulsory, and other languages are encouraged. Once the IC thread has been posted whenever the winning bidding nation chooses, nations will submit songs before the deadline. After the deadline nations may not edit or alter their song in any way, unless otherwise instructed by the Committee. Also, after the deadline and any interval act (wait for the signal from the host nation), nations vote, ranking their top ten songs in the following format: 12-10-8-7-6-5-4-3-2-1 in the IC thread. Nations may not vote for themselves. All nations that post a song in the IC thread must vote. If you don't know how to sign up, use this form below; this should help. Not all of these fields have to be filled in, but it certainly helps. [b]Nation Name:[/b] Your nation's name goes here. [b]Official Broadcaster:[/b] Your official broadcaster for WV goes here. [b]Song Title:[/b] The IC Song title goes here. [b]Artist(s) Name(s):[/b] The name of your act goes here. [b]Tune:[/b] The real life tune you're basing your song on goes here. A debutante nation cannot bid to host the WorldVision Song Contest. A nation must have entered and completed one edition in order to qualify to host a following edition. Furthermore, a nation that has put a host bid CANNOT vote for their own bid. This ensures a democratic and fair result. At least 80% of the song’s lyrics must be original, and translations of real life songs will result in disqualification. If you suspect another entry to be either wholly or mostly plagiarised, please telegram the WorldVision Committee with your concerns. The committee will then review the entry before making a judgement. If your entry is disqualified for whatever reason, you will not be reinstated even if you edit your entry. All nations that post a song in the IC thread must vote. Failure to do so will result in a one-contest ban. Each nation may enter ONE puppet nation (that is another nation controlled by the same player); the master nation must confirm their puppet on the thread. Should a nation is found to be in breach of the one-puppet nation rule, sanctions and a disqualification will be put in place. If a nation enters a puppet nation, the maximum amount of points that can be awarded to each nation is up to five points thus ensuring a fair and more equal chance for all nations to succeed within the Contest. If a nation is found to have awarded a higher amount of points, the Committee will first allow said nation to alter their votes. If said nation fails to adhere to Committee reminders, the votes will be rendered void and will result in disqualification. A user controlling a master and puppet nation together can only award a third nation a total of 18 points. Under no circumstances will bullying, offensive and/or intimidating language or provocations of any form be accepted within the Contest, within both IC and OOC threads. WorldVision promotes peaceful and friendly environment. Failure to comply will result in disqualification. If at any point, you feel you are a victim, or feel someone has been victimized by another nation, contact the Committee, or a member of the Committee immediately. The Committee will ensure anonymity/confidentiality at all times. Only the current host of a Contest or the WorldVision Committee can reveal results during the voting process. Conspiring with fellow users to rig any of the votes is illegal and will result in sanctions. Users may "reserve" slots in the running order of the contest, but if you do so and don't finish your entry by the deadline, you will receive a one-contest ban. An entry is accepted if it has a complete set of lyrics, regardless of whether stage directions have been finalized or not. You may also state that you are withdrawing from the contest on the OOC thread. Users may not edit their entries or votes after the deadlines for any reason, including spelling or grammatical errors, unless otherwise instructed to by the Committee. If you'd like to edit something in after the deadline, please ask the Committee for permission first. So basically, be original, try to be fair, don't be a jerk, and have fun. If you have any questions or concerns, please feel free to TG the Committee- it helps if you add the Committee's individual member names (Besen, Darkmania, Ethane, Kalosia, Nekoni) in the "To:" box along with "WorldVision Committee" for a faster response. Even if you've missed the deadline or aren't participating, feel free to discuss the contest in this thread or post commentary in the IC. You'll find that people greatly appreciate some good commentary. With all that said, welcome to WorldVision! Have you been left out by mistake? Just TG us! Last edited by WorldVision Committee on Wed Apr 10, 2019 10:24 am, edited 2 times in total. also please vote in my national final for worldvision! Vha Mehlodhivestoile is BACK and we need you! Who will win Vha Mehlodhivestoile 2019? You Decide. The WorldVision Song Contest 73 marks 10 editions since Frida Grover won the contest with her song "Pyro" which translates to Fire in English. It has been nine editions since Taron Woods, last year's winner, graced the WorldVision stage in Nekoni and kept the trophy in Britonisea with "Cy Ecouto Teuten Vokse" which is I Can Hear Your Voice in English. Vha Mehlodhivestoile is back for the fourth time to end what has been the culmination of a build-up of excitement for the last four months. We invite you to be part of our truly international national final. Many nations have decided their fate for the 73rd WorldVision Song Contest - we won't lose hope. In what will be a thrilling final, as our national final's title suggests, we will find the star song but we need your help. We are reaching far and wide for international juries to vote in our national final - we will be sure to send a jury to your national final, if you have one, as a sign of respect and gratitude. Performing also is Taron Woods, the winner of Vha Mehlodhivestoile 2018 and the 64th WorldVision Song Contest, OLA from Besen who came second at the 71st WorldVision Song Contest and our most recent winner from Mercedini, Ylinqar with his song "Occhi"! We are very excited to find out who will win Vha Mehlodhivestoile and going to the nation who will host the 73rd WorldVision Song Contest! 1 The Listen-Along will start at approximately 9pm UK Time on Saturday - with all acts being performed. You will be able to find the listen-along on the #greatest-hits channel on the WV/WHF Discord. Belgaam confirm third participation! TBS are happy after the top 10 result we got last edition with Taña Uröch and her song "Need You In My Life". Tomorrow the songs for Tariña'o Melodi will be revealed. We better get the null points we are here for. This is a puppet for Darkmania. You are reading this signature, didn't you? If so, then have a nice day and may whatever you believe in bless you. Sucking at childrens song contest since 2017/2018. Vartugia wrote: We better get the null points we are here for. Not racist. The name has noting to do with racism. RVC Confirms // Other News? These images were circling around the internet for the past few days. It's not the first time that Estogium's supposed bidding plans have been leaked. Could this time be the real deal? I guess we will find out on the 19th April 2019 whether it's a possibility that we could be going to V'Estograd for the 73rd WorldVision Song Contest! Estogium in WorldVision and World Hit Festival +1 it! I'm confirmed as a nation! And! Plangainer confirms it's second participation attempt, after previously having missed out on the IC thread. Hello world. Welcome to the 3rd edition of our national final “Cana dor Besein”, where 6 acts will compete for the right to represent Besen at the Worldvision Song Contest. These six songs have been crafted based on the artists rather than the song itself, which has proved to be useful for BC1, as they have been able to scout some great talent, without worrying about the “wow” factor first. We ask for international jury voting for these songs, and so if you want to help choose our act, send a ranking from worst to best with the best being 1, and the worst being 6. We have found great results from this system, and we greatly appreciate your support. You may send votes via telegram or discord message. Last edited by Besen on Thu Apr 11, 2019 12:36 pm, edited 5 times in total. Axuva Today Network [ATN] Today we announce that the Axuvian Government now recognizes The Russian Language as an Official Language, Korean and English were spoken in the beginning, but there were Russians too, russians were forgotten and their language were not recognized due to the things they did in the past, but now their language is a official language of Axuva, and there will now be 3 official languages instead of two. Main Nation Ministry's National Finals! OOC: Before we show the singers, let MNM explain to you some of his own commentary on reality TV, in general. "Reality TV will probably be one of the most familiar concepts in fiction ripped from real life. When you watch Real Housewives to where you know that some stuff is clearly staged, seeing how ridiculous the main stars are acting, there are people who watch shows of a bunch of rich spoiled people arguing and fighting. Why they watch it with some knowing it's fake will be a mystery. When it comes to game shows or any contest with a prize, one would make a show with a theme in mind. Normally, when you're on TV, any mistake that you will make will be shown to millions. The obsessed FOX and TLC left their marks in infamy for their ideas on what to show to the public in the name of reality TV which overlaps with trash TV. It's a concept that humanity will be doomed to repeat in history, knowing that the consequences wouldn't end the world." "When it comes to music, one immediately thinks American Idol or America's Got Talent. Though American Idol is the one to increase the common knowledge of reality TV and influence several similar shows. Simon Cowell realized what people were seeing him as after being a judge on the show, so he went Mr. Nice Guy on others. Nowadays, while reality TV still exists, the use of social media will...pretty much makes things worst in honesty, due to it's mass appeal. Even if reality TV will exploit whatever controversial issue that is apparent and resort to staging to make things look real to the public, it will shape the paradigm of people presented. I been to a results show on AGT, where I felt that watching it on TV was better than going to the real thing. Reality TV exists to put a glamour on things, where a celebrity looks famous on TV, while if you run into them in person, they mainly look like normal people. This excerpt isn't to have your TV unplugged, it's to remind you that even though television has shaped generations and more to come, there are other ways to be famous rather than fail miserably on the X Factor." "What does the Masked Singer do to be involved with reality TV? While it's nothing like it's Korean origins, it does show how we're willingly to make fiction into reality, where the show itself is a fever dream as described by Vulture. My main criticism is that the judges are complete morons. So what's the answer for reality TV?" "There is no right or wrong answer. There is no suggestion to watch or not watch reality TV." Description: Ladies and Gentlemen, due to some idea from a commentator from WV71, Main Nation Ministry is doing a national final where you will not know the identifies of 3 individuals who are signed up to perform. However, the catch is one singer must perform one song. Clues on who the masked singers might be will be hinted at each singer category. The rules for this national final is simple. There will be two deadlines. Voters are to vote for which song would suit 3 of the musicians below. 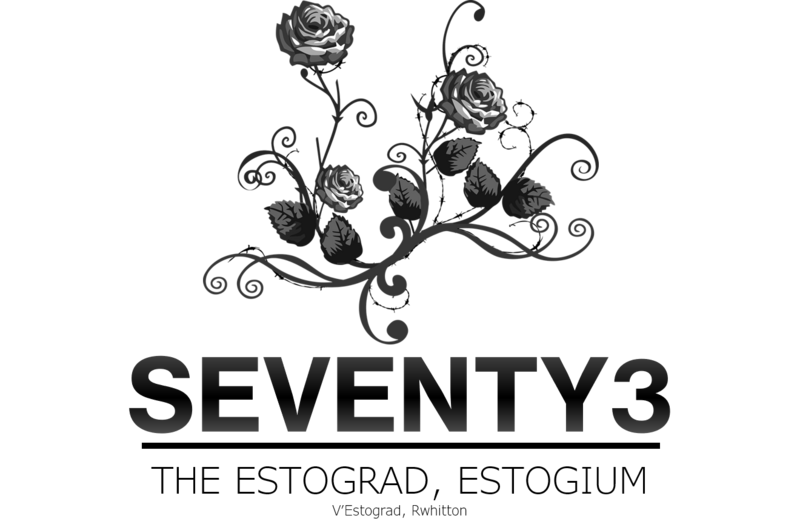 The next deadline will be choosing which musician will be performing in WV73. This national final includes the following IRL musicians, varying on genre, though song can mainly classified as alternative or indie, such as..
Jordan Hill, Fall Out Boy, Sonic Youth, Weezer, The Breeders, Bon Jovi, The Strokes, The Chemical Brothers, Primus, My Chemical Romance, Panic! At the Disco, Tally Hall, and Lemon Demon. Description: Shark is as the name implies, wears a cartoonish shark costume (strangely similar to a memetic performance to a sporting tournament). Shark is the only male singer and the oldest out of the trio. He will be performing songs that are mainly described as rock. We asked him some questions where he gave a statement of his own. Please note that all musicians will have their real voices not revealed till their performance debut. "I thought it was hilarious to be dressed up as a shark, since I figured they stuff me into the Stanley the Snakefish mascot costume, instead. I don't really bite. I played football, though I'm still a bit of a leader. When I learned that Dragon was here, I thought it was a coincidence or that the Leader might have signed her up. I met up with her and she explained she was ok with being a masked singer, though she doesn't think people will vote for her. Skeleton isn't someone I'm familiar with, since I don't keep track of gossip. Before you folks at home vote, I would like to say this. Ride on shooting star." Description: While an actual image isn't provided, a word description is still available. Dragon is as the name implies is dressed up as a dragon. Dragon wears a silver dragon mask with some LED eyes for cosmetic effect. Dragon's main outfit consists of a set of a black and red leather jacket, pants, and finger-less gloves to show their black colored nails. Dragon also has a red cape in the pattern of dragon scales, along with a black lining. Being the youngest singer, Dragon is available to shed some light of herself, even if her nervous attitude is visible with a mask on, she will be performing songs mainly of an indie nature, though she did decided to do a song in an attempted style of Jessica Madden. "I don't really have stage fright. I have to go on stage before, though I never really am the performer type. I guess it's common for me to be nervous, seeing I was in the bad limelight once, though I thank the Leader for helping me. I know about Shark, he happened to try to help me also. For Skeleton, I met her once and asked her about some experiences that she has, since there was this one time where I.. Well, you think I'm crazy, though I see Skeleton as someone wanting to be friendly. I kinda have an interest in dragons, though the reason is a bit complex. I'm not expecting to be on stage, though I will watch from the sidelines if someone else makes it through." Description: Skeleton isn't really dressed as a skeleton, but she has a bone motif present. The makeup team who were attending Main Nation Ministry's performance in WV69 will be helping Skeleton for her performance, to which Skeleton's song will be performance in glow in the dark. Despite having her long hair visible, the makeup team adds some washable dye to change the hair color to white. Skeleton wears a pink half face mask, that while looks normal, when it's glow in the dark, the bottom of Skeleton's face and the mask form a glowering white skull. For an outfit, Skeleton will be wearing a Victorian-era light pink dress that shows skeleton bones when in the dark. Slightly older than Dragon, Skeleton does have some knowledge of music and how to prep for it. Her song will be mainly themed around electronic, along with getting some song ideas from Jessica Madden herself, who's helping Skeleton. Jessica Madden has kept Skeleton's identify a secret, while she threatened to duct tape her mouth, if pressured. Though Skeleton herself asked not to. "Jessica Madden are afflicted with each other. I know that Jessica Madden isn't a heavy-hitter, but I know her in person that's she does show some compassion and tries to relate to one another. It gives me relief that I don't have to be out of my own costume when performing, since I don't want to scare everyone. 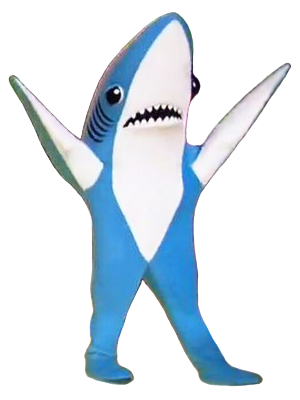 I did see what Shark looked like without his shark outfit. He does look casual wearing pink, though it's my favorite color in a different sense. For Dragon, she's nice to Jessica, even if there was some mishaps with them, though it wasn't arguments. I do know that Madden will cheer me on, so I do hope some people will take a listen to what I have in store." Remember to vote for songs from each musicians! Do your best to choose which masked singer you want on stage! Also, make sure to send your votes by TG to MNM! And even though this is optional, if you managed to figure out the identifies of all three singers, make sure to send your guesses by TG, where your reward shall be the bragging rights and a mention on the official entry in the IC thread! Last edited by Main Nation Ministry on Tue Apr 16, 2019 1:59 pm, edited 2 times in total. Please send me a telegram or a DM on Discord regarding 12 points to your favourite song, 5 points to your second favourite song and 1 point to your third favourite of both semi-finals. The top 3 of both semi-finals qualify to the final. VOTING CLOSED, THANKS TO EVERYONE WHO VOTED AND THE RESULTS WILL BE REVEALED TOMORROW. Last edited by Belgaam on Sat Apr 13, 2019 3:29 pm, edited 2 times in total. Last edited by Third Asopia on Wed Apr 10, 2019 3:46 am, edited 1 time in total. Ethane signs up; will edit the OP later today. Miight be doing my own bid? Depends if I can get an idea properly down on (online) paper this (fictional) year. Yes, we are cat people. No, we're not Japanese. We're not that kind of cat people. Nekoni's bit on the side. Tune: I won't even say it. I don't want to make me kill myself. Last edited by Pais Sinpesen on Wed Apr 10, 2019 8:35 am, edited 1 time in total. Welcome to the Plangainer National Selection for the WorldVision Song Contest! The National Broadcaster of Plangainer have collected all participants who are willing to give their best shot at making it to the Big WorldVision Stage! The First Semi-Final of the National Selection for the WorldVision Song Contest will air on the 12th of April, 2019, as the Second Semi-Final will take place the day after the First Semi-Final, as the competitors within the National Selection will see who will be sent to represent Plangainer in the WorldVision Song Contest! Last edited by Plangainer on Wed Apr 10, 2019 11:12 am, edited 4 times in total. Star Pop Singers Cália Evemeña and Rio Pojara team up to create the song to represent Libumelland in the WorldVision Contest 2019 “Chances or Risks/Echancares ora Eriscos”. This is the first Libumelian entry into the Contest, introducing a new event into the country. Last edited by Libumelland on Fri Apr 12, 2019 10:33 pm, edited 2 times in total. "Welcome to Izmepisma. 9 songs have been chosen out of a field of hundreds waiting for their shot at Izmedu's WorldVision baton, but only one song can remain standing"
Izmepisma once more found renewed success in the form of Gorana Sever's "Mrznja," coming in 5th in an especially competitive WorldVision. This adds to the impressive bevy of results that the national final has provided for the Izmeduan delegation and RTI, and was especially a relief for the channel. While celebrating the festivities of the 72nd WorldVision Song Contest, those in Vodiznad's RTI HQ knew that it was going to be business as usual once the excitement coursed through everybody's veins. In the lead up to the upcoming WorldVision Song Contest, RTI wanted to stake out a more concerted approach to attract more top talent to the national final. After largely letting word of mouth dominate the previous edition's submission season, this time, RTI were doing their best to attract as many diverse genres and performers to the fold. Did they succeed in this mission? Or did the feared slump happen? There was a similar level of interest in submitting for the NF that was maintained from last edition. In the end, about 1370 entries were submitted for Izmepisma consideration, with artists coming from all corners of Izmedu and even getting a few submissions from artists long thought to have shunned the Izmeduan music industry entirely or expressed no interest on the record to represent Izmedu. The team had to make difficult cuts, almost to the point where an expansion in the domestic televoting rounds was contemplated. 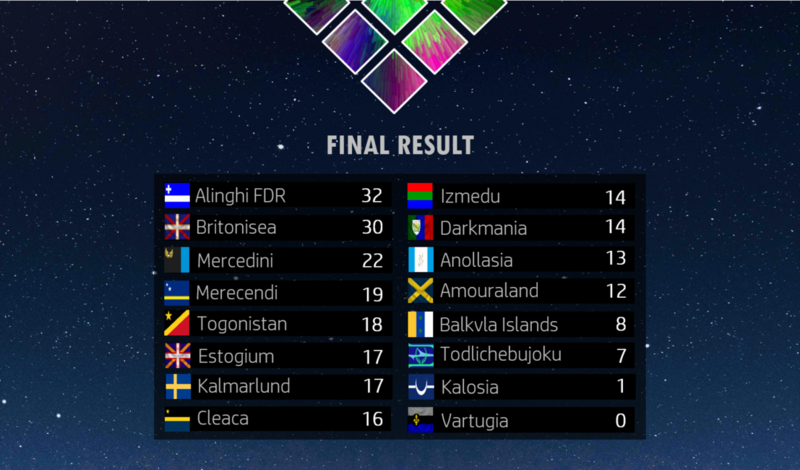 However, RTI still chose 18 songs to progress through to the live semi-final televoting rounds. From there, 9 songs survived to make the grand final cut, ready for your votes. International juries will vote by ranking their top 7 songs in the following format. 12 points to their favorite, 10 to their 2nd, 8 to their 3rd, then 6, 4, 2, and 1 points for 4th, 5th, 6th, and 7th respectively. Your least favorite 2 songs will not receive any votes. To vote, simply send a TG to Izmedu with the format or send a Discord DM to Izmedu#6997 (and if you have a national final, let me know and I will vote for yours in return). 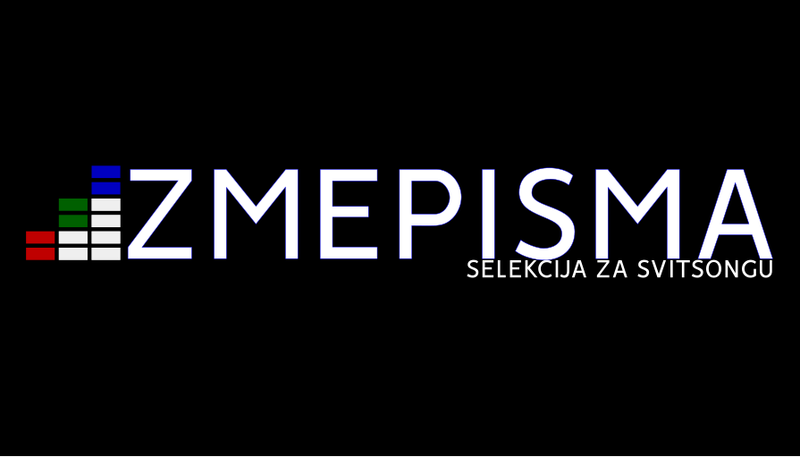 The final result of Izmepisma will be determined through a 50/50 split of the international jury and public vote. The amount of points that the public will give out will be determined by how many international juries vote for the national final. Last edited by Izmedu on Wed Apr 10, 2019 12:57 pm, edited 2 times in total. Tune: Multiple. The song is mainly samples (Mostly classical music (not original), news broadcasts (which are original), sound effects (original too), 111 calls (original), and Parliament transcripts (original)). Think of it as a sound collage. Several minutes ago, it was announced that the Allied States of Polkopia would return to the upcoming contest and the PNB would serve as the nation's broadcaster for Worldvision. Last edition, the nation was represented by artist Elisa Grace who finished in an impressive 3rd place. The Landa vy Polkopiya will still serve as the National Final for selecting Polkopia's entry for the 73rd Worldvision song contest. 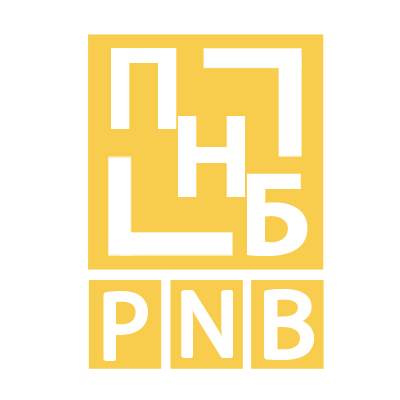 The PNB is, once again, keeping the semi-final format for the contest. In this format, there will be two semi-finals with 5 entries in each. International juries' votes will be collected, and then they will be randomly assigned a semi-final and their points will be distributed accordingly. Two songs will qualify to the Grand Final from each semi-final, as well as one 'Wildcard' entry. The international votes are then distributed to the songs in the Grand Final, along with the televote, and the winning entry will be determined then. To vote: Send a TG (Or DM on Discord) to Polkopia with all 10 of the songs in order from your favorite to least favorite. It is preferred to use one tune please, rather than a few different ones. It will help you in the contest- as you need to write lyrics to accompany.